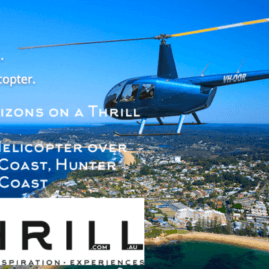 Thrill provides exceptional Hunter Valley activities, events and the best team building activities selection from wine tasting, wine blending, grape stomping, bicycle winery tours, archery, games or barrel rolling. 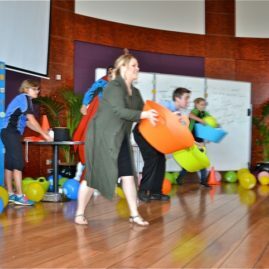 Superb fun for all corporates and groups conference break activities, entertainment, experiences or adventures! Facilitated directly from your Hunter Valley accommodation and conference venues. Including Cypress Lakes, Crowne Plaza, Chateau Elan, Golden Door, Hunter Valley Resort, Tuscany and more. Liven up your team with Outdoor Experiences on the ground with Hunter Survivor, Archery Games and brilliant Amazing Races through the vineyards, chocolate shops and cheesery’s. 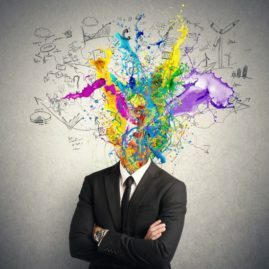 If competition between delegates is more your style select Amazing Races or be more Creative Art by painting a masterpiece ‘The Bigger Picture’. 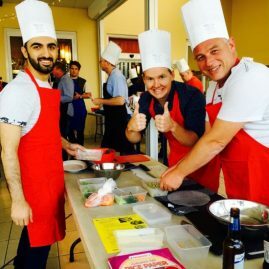 We facilitate Food for Thought with Master Chef Cooking or the best staff engagement results on an CSR Charity Team Building event of Bikes, Trikes or Toys-4-Kids around the Hunter Valley Gardens. Thrill Team Events provide the wow factor to engage your staff, employees, managers, leaders with a selection of the best Hunter wine region activities, mixing in local produce, mysteries, secret activities and unique adventures. Call the Thrill Event Planning team to develop your Hunter Valley escape package. That includes everything from office departure, all activities, conferencing, accommodation, catering, meals, entertainment and transport. 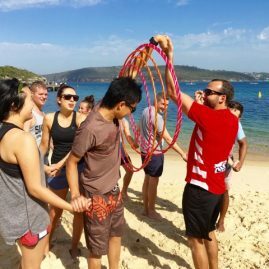 Ensure a genuinely memorable work conference experience within 2hrs of Sydney. Cypress Lakes Resort – best for on site large group team building activities and team challenges. 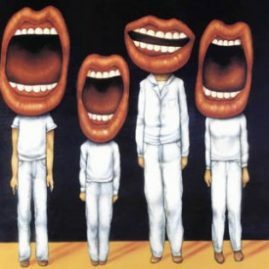 From Creative Art painting Masterpieces and The Bigger Picture combined canvas huge group mural art. 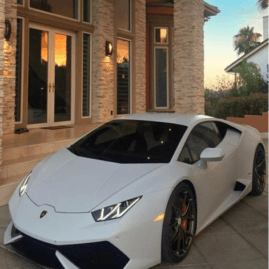 To designing a strategic vision to golf to massage and spa treatments and even able to fit in a few wine tastings or wine blending at cellar doors. Bringing in cross country Segways or Golf buggies to get around the spectacular greens. 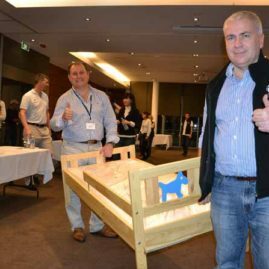 Crowne Plaza Hunter Valley – Is the ideal venue for Thrill events corporate entertainment, games and craft beer brewing. Where a short stroll will take staff to the vineyards, golf courses or the famous Potters Brewery. 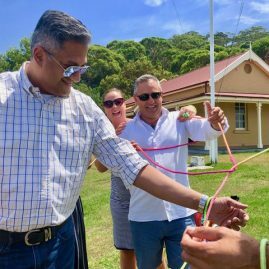 Hunter Resort – with a fantastic choice of activities, horse riding adventures, segway tours, wines and beers tastings – facilitated by Thrill for your colleagues to enjoy. Mercure Resort Hunter Valley Gardens – Here Thrill crew conduct grape picking, grape stomping, wine barrell rolling, wine blending and delightful wine tastings. Tuscany Wine Estate – a touch of Spain and Spanish Tapas Cooking Master Chef Style or Pizza Cooking. Chateau Elan accommodation with a touch country elegance that is high class. 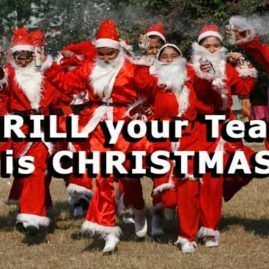 As well as great fun conference and corporate team building for any size group. 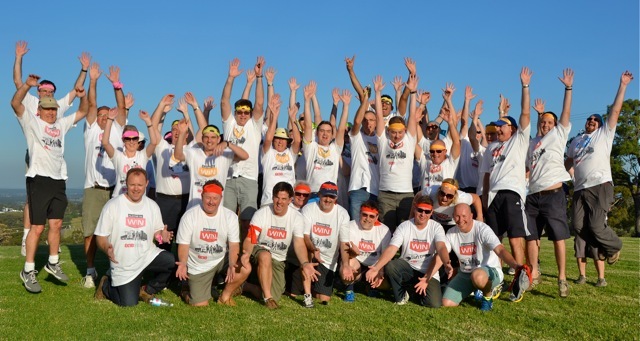 Kirkton Park – Breathtaking lovely views over the vineyards providing a grape backdrop for Survivor Team activities. Obstacle course racing and Minute 2 Win It fun evening entertainment games. Cycling Bicycle Winery Tour custom itineraries to on E Bikes (electric bikes) or pedal pushers. 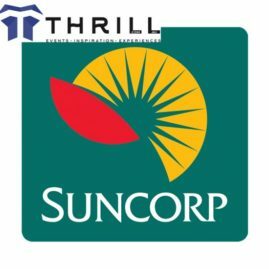 Thrill knows the Hunter Valley like the proverbial ‘back of our hand’. With staff born and bred locally. We are keen to show you the best blend of wine country corporate group activities we can muster. 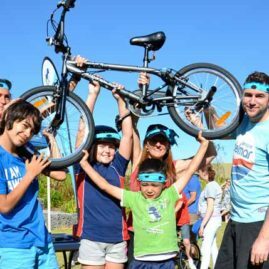 Hunter Valley Activities ; Amazing Races, Survivor, Cycling, Obstacle Courses, Conference Break Outs. Sunrise Well being Exercises, Yoga, Thai Chi or sensational Sunset picnics. 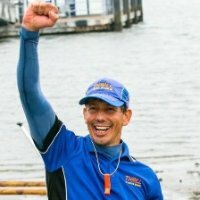 Team building Custom Built Packages and Corporate Entertainment to meet your time frame. Monopoly based Amazing Races Playing To Win team building group activities event for 100 delegates at Hunter Valley’s Crowne Plaza. A leisurely 1.5-2hrs drive North of Sydney CBD with the dramatic back drop of the Broken Back Range and The Watagans overlooking NSW best wine country. We package adventure experiences unique to the region with Ballooning, Helicopters, Hummers, Harley Davidsons, Horse Riding, Mountain Biking, Cycling tours, Golf, Segways or Horse and Carriage Rides. 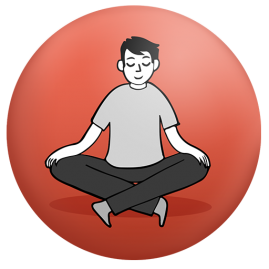 Select a Healthy start to the day with a corporate stretch Yoga health session. 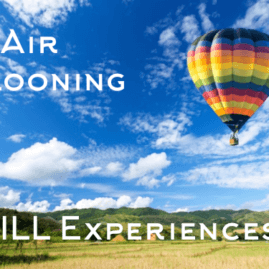 Or enjoy an adventures on Hot Air Balloons, cycling, abseiling, bushwalking or even a warrior dash obstacle course over the vineyards and wineries. 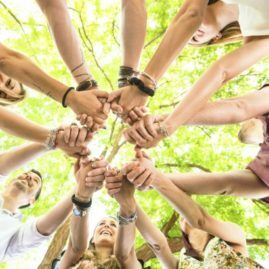 What are the Top 10 most popular corporate team building activities and things to do in Hunter Valley Wineries & Conference Centers? Amazing Races or Treasure Hunts through the Hunter Valley Wineries, Breweries, Chocolates, Cheeses and Distillery! 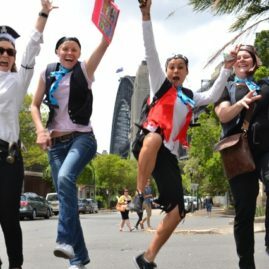 5 amazing race packages to select from. 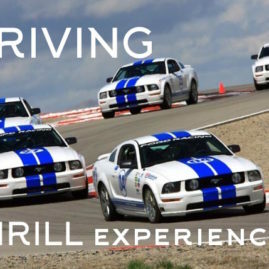 Thrill creates the wow factor on amazing races that can be on foot including Golf, Beers, Wines, Ciders, Rally Cars, Hummers or Helicopters. GRAPE STOMPING ROMP IN THE VINES. It’s a race to retrieve fresh grapes on the vines. De-stem, then Stomp, Dance and Squish the Grapes into a tasty juice. 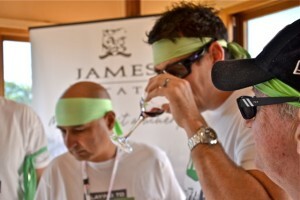 Thrill blends quality team building events with a variety of Hunter Valley wineries. into a fantastic drop to take home. That leads directly into WINE MAKING and WINE BLENDING. 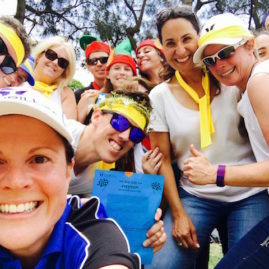 WINE GAMES and BARREL ROLLING with a blend of exciting, fun games and Mini Olympics relay style carnivals at Cellar Doors, Wineries, Conference Centers, Hunter Valley Gardens or at your accommodation. 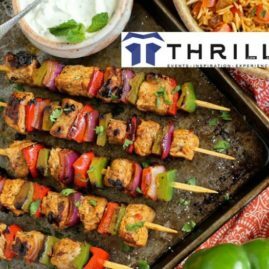 THRILL GRILL COOKING SCHOOLS with a BBQ, gas burner or in the cellar door kitchens. Thrill staff are exemplary cooks who take you through a fun Team Building Master Chef Cook off. 1 course cooking innovations. To Mystery Box challenges Flaring flambes with Hunter Valley distillery infused apple vodkas – mmmmm. DISTILLERY. Thrill loves their spirits and will share with you a science experiment where your team can taste Vodka’s, Schnapps and Liquers. WINE TASTINGS. We take you direct on a professional personalised guided tour to the vineyards, cellar doors and wine makers. Or bring a fantastic selection of premium local wines direct to your conference venue to sample or blind taste. BEER TASTING; with 3 breweries operating in The Hunter Valley; Potters, Matilda and Crowne Plaza. Thrill pours a wonderful beer paddle tatstings for you and your team mates. HUNTER VALLEY GARDENS with an Alice in Wonderland Mad Hatters Tea Party team building activity that is absolutely unique. Cycling and Bike Riding adventures depart from here or your conference location. Hunter Valley CHOCOLATES and taste the dessert king’s Sabor’s sweet delights. It’s time to reward your staff with special treats. Or let us take tyouy for a Tasting of Smelly Cheese of the Distillery for a secret drop. DINNERS off site at Muse, Chris’s, Twine, Pipette, Molines or the Cellar will inspire! Creating Degustation Dinners matching Craft Beers and Boutique Wines with food adventures. How to purchase and run a winery as a team building large scale corporate game. Progressive dinners from one restaurant venue to another. Imagine getting into Wine Battles. Or Beer versus Wine Battles. Thrill designs Master Chef Style Cooking classes with Hosted Chefs from Ridgeview, Emersons, Gartlemanns, The Verandah and Shakey Tables. 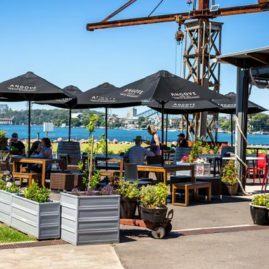 We can have our Hunter Chefs travel to Sydney corporate events and create a special menu for a night from BBQ’s to 4 course dining experiences balanced with terrific wines. Hunter Valley WINE DIVINE team building activities. Gets your team on its toes! Squelching, dancing and Grape Stomping to create a wicked wine juice. 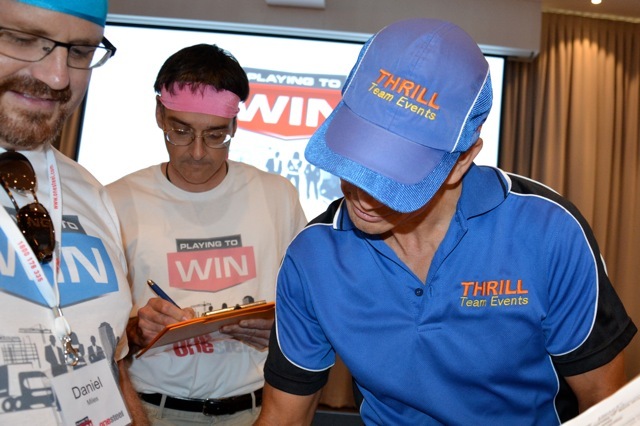 Teams are briefed at your selected Hunter Valley venues by professional THRILL team building facilitators. 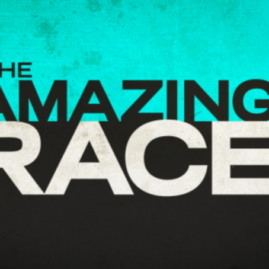 Then set off on a real Amazing Race. In your cars, mini buses, on foot or in helicopters. Route Cards will have your teams visit and experience unique Vineyards, Cellar Doors, Meet real Winemakers. Pick and Stomp your own grapes to produce and bottle your own wines. Eat local Chocolates. Drink wonderful authentic Hunter Valley Semillon and Shiraz wines. Taste test a mixture of fresh whites and bold Hunter Peppery Reds. Mix the perfect blend of activities and unique experiences that make the Hunter Valley an exceptional corporate escape. 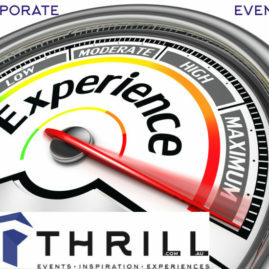 If you can’t see your desired team building activity or event, contact THRILL. 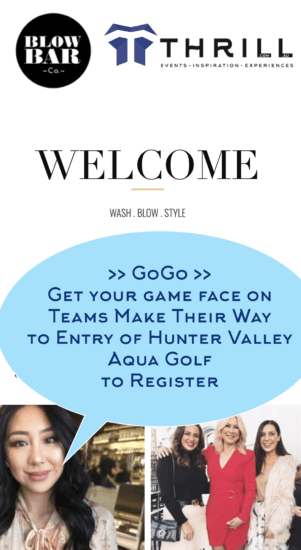 We design specially developed Hunter Valley team building fun or seriously. Search for your very own Hunter Valley Wine Country Treasures. A real Treasure Chest is locked away and secured within the Hunter Valley finest wineries Cellar Doors. Guarded by secret Clues and tales of misadventure. 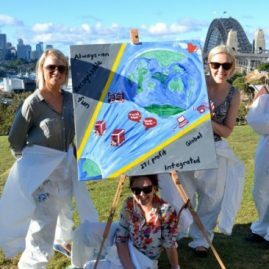 Local Hunter Valley Treasure Hunt Team Building staff will take you on a Treasure Hunt journey through the popular Hunter Valley wineries such as McGuigan Wines, Broken Back, McWilliams, Lindemans, Tempus 2 & The Hunter Valley Gardens. Including The Hunter Valley’s smelliest Cheese Shop for a washed Rind Gold or smother the cheesiness with decadent Hunter Valley Chocolates – the Cherry Liqueur is our favourite and a Chapel where you can make your corporate team building vows or wash away your sins. Enjoy a journey of Treasure Hunting fun through vineyards and further afield. Teams are briefed at your selected Hunter Valley conference venue then embark on their mission. What better way to break out of your Hunter Valley conference room and enjoy the spoils of wine-country! After a full day of conferencing in fabulous Venues. 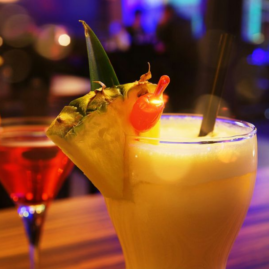 Then reward your teams and business delegates with tastings and evening activities that encourage interaction, laughter and shared enjoyment. Select from a funtastic selection of corporate entertainment. Trivia Games over dinner, Wine Blending and take home the wine you make,. Minute 2 Win It great fun and 100% involvement. 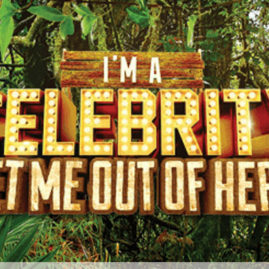 Friday Night Games, X Factor or have a Guest Speaker, Comedian, Musician or Roving entertainer liven up the crew. Our Casino Nights, Lip Sync Battles, themed Gala Dinners, Flash Mobs or Dancing beneath the stars will have delegates grooving! Ask us for Trivia, Minute To Win It, DJ’s, Music, Bands, Spicks and Specks hosted evening events for great laughs. Quality boutique beer are most compatible with Lunch or Dinner. In Blue Tounges or Potters Brewery! Our newest and tastiest team building activities include enjoying the Beer Tasting at Lovedale. 8 New Beer Brews lined up and ready to sample at The Hunter Valley Crowne Plaza in Lovedale. There is no better way to finish a hard day of conferencing. Beer Tastings that refreshes and quenches the thirst whilst hunting local craft beer. Last week it was revenge of the Ginger Beer! Avoid wasting dollars on theming chairs! 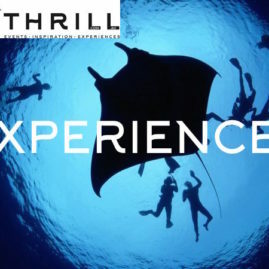 Give your delegates, participants, employees, staff, clients and people real interactive Thrill experiences. 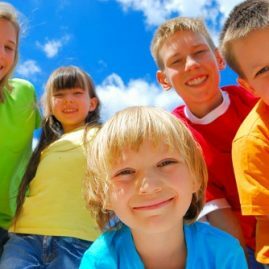 Providing activities that impress! 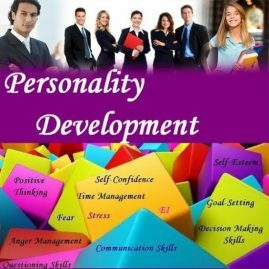 Reward your staff directly with the type of team building encourage growth and personal development. New and exciting ways to inspire or engage teams to bond. 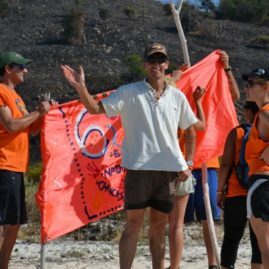 Presently on Corporate Survivor we have a range of Team Activities to Outwit, Outlast and Out Play. Raft Building, Sling Shot Shooting, Puzzles, Search & Retrieve. 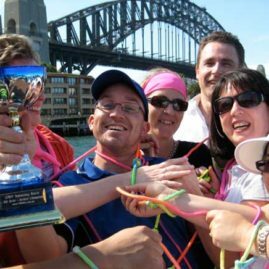 With over 1,000 Survivor activity events facilitated we provide the best corporate challenges suited for all. Enjoy spirited wines in wineries at cellar doors, experience boutique vineyards and exceptional conferencing activities. Savour delicious tastes of Hunter Valley Master Chef Team Cook Off’s utilising the freshest Hunter ingredients and Maitland’s regional local produce from paddock to plate. Adventurous – Thrill also Organises Canoeing and Kayaking Tours – Wilderness Retreats and Eco Tours on The Hunter River. Mountain Biking Single Track Guided Tours and open Mountain Trails exploring The Hunter Rim. Also for the dare devils in your group Abseiling the stunning Brokenback Range Cliffs behind Ben Ean Winery. Indulge in quality Hunter Valley accommodation with superb and deluxe conferencing facilities; ensuring conference delegates are comfortable, entertained and rewarded. Roll up the corporate sleeves, tuck in the pants and squelch the grape juice. Book a Hunter Valley conference or team building training package and receive our special Hunter Valley Coordinators Gift Pack. Including a 12 year old Hunter Valley 2004 Sparkling Shiraz. Awesome Sparkling Wine (almost Champagne) and Hunter Valley Chocolates combination. 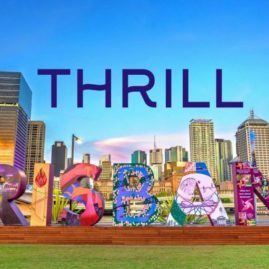 THRILL will take care of your ultimate Corporate Escapes. Packaging Conference programs with a selection of fun Activities. From Hot Air Ballooning at Dawn. Drifting over the vineyards to exclusive wine tours. Picking and stomping grapes, barrel rolling and tasting the best Semillon and Shiraz wines. Then blending more divine Hunter Valley wine. 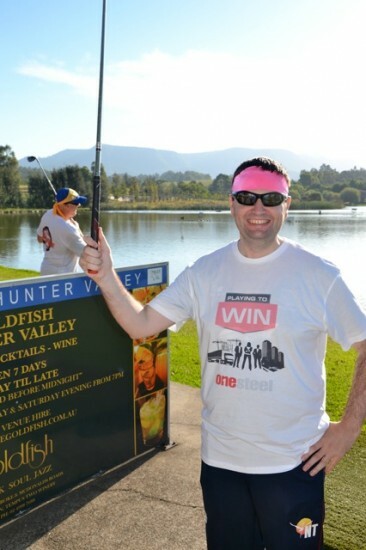 THRILL has dedicated Hunter Valley Conference, Meetings and Incentives staff, living in The Hunter Valley. Who are not only knowledgeable on the best selection of wines. But also secret venues, activities and fun corporate escapes – ripe for the picking. 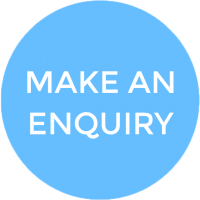 Enquire Now to receive expert assistance in planning your next exciting conference. 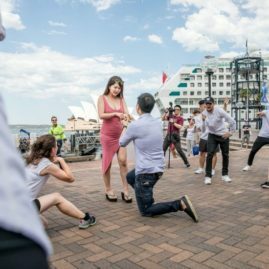 Complete with accommodation packages, tours, meetings, incentives, rewards, gala dinners, corporate events and unique escape. 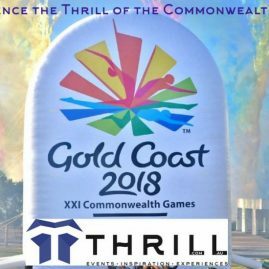 Call THRILL event planning and event planners on 02 9630 2222 Now. To organise your next Hunter Valley Team Conference Package with thrilling Activities blended with wines for excellence in conferencing accommodation escape packages.